We recently caught up with Gunnar Nelson and he filled us in on all that he and his twin brother Matthew are currently up to. 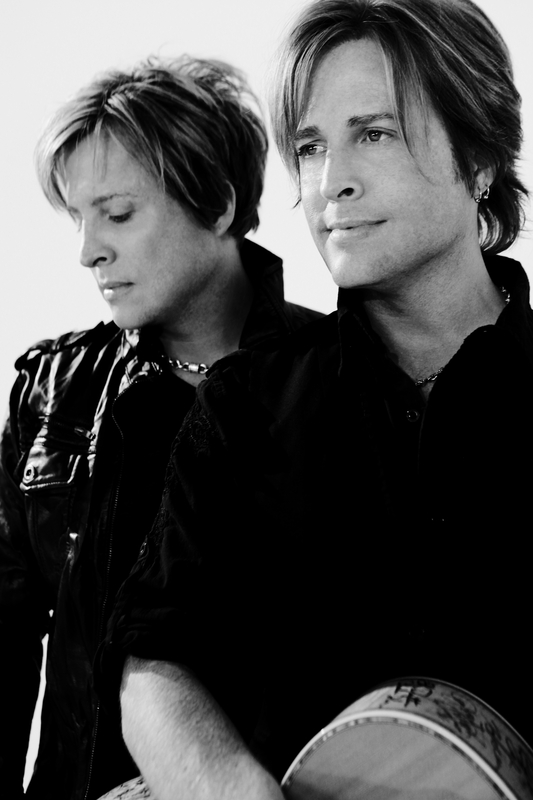 Matthew and Gunnar Nelson are proudly touring and playing Ricky Nelson songs in a format in which Gunnar called a “we’re not doing a tribute show, we’re doing a celebration, our Dad was our best friend.” He also called it a high-energy rock show meets an A&E Biography. This is one show you will not want to miss. Gunnar also revealed what their upcoming plans in 2014 entail. Rock Show Critique: What is currently going on in the world of “Nelson” these days? 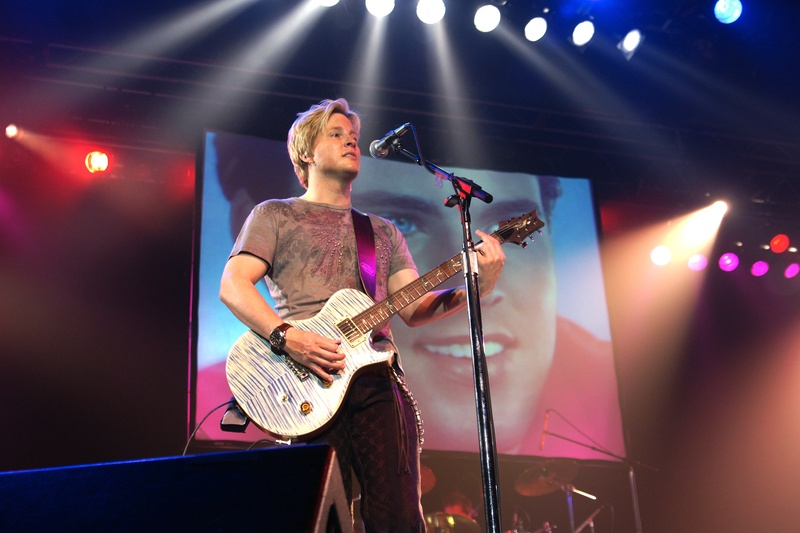 Gunnar Nelson: We’re gonna do more Nelson rock band shows. I found that the climate is really embracing Nelson the rock band, we’re coming up on the twentieth anniversary of that particular band. It’s refreshing because we have not gone out and toured that to death like a lot of our contemporaries have. So its kind of fresh. 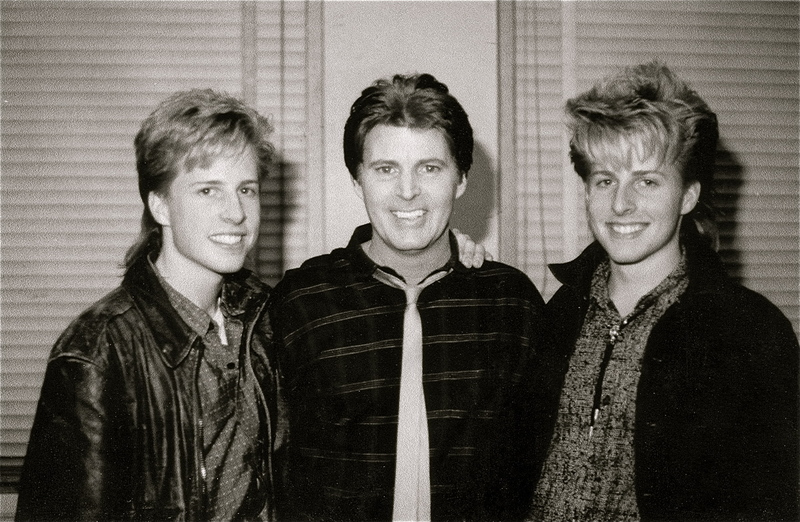 We’ve got the Ricky Nelson Remembered tour, which is the one we’re doing up in Niagara that’s doing very, very well, over a hundred shows this last year. Finally we got Scrap Metal which is kind of along that whole 80s rock thing with the biggest lead singers from biggest 80s hair bands in one band. So it looks like 2013 has been quite a really good year for us. RSC: How many shows do you play a year with Scrap Metal? GN: Scrap Metal is between six and ten. You have to really view Scrap Metal as not just a band. It’s really like putting on a rock festival because its the equivalent of six bands worth of music on one stage at one time. It’s really like more of a special event. The places that are really able to handle Scrap Metal shows are the top notch casinos. RSC: How did the Rickey Nelson Remembered idea come about? GN: Originally is was supposed to be a one off thing. We were rereleasing all of our Dad’s Capitol catalog on Capitol Records in 2000. They asked Matthew and I if we would go and play two shows, one in Los Angeles and one in New York for national TV shows to promote the release of that catalog. We agreed to do that and that’s all it was supposed to be but the response was so overwhelmingly positive that is was really apparent that it was something we needed to focus on. In the beginning it was like a normal concert. We kind of realized that our Dad was the most televised rock star in history so we took all the clips that we were able to from the family television show that ran fourteen years and blended it into the shows. Now its best described as a high-energy rock concert meets an A&E Biography episode. RSC: How did you and Matthew decide to sing which songs? GN: Well that kind of came naturally. The hardest thing was pare down to the two hour show that it is. My Dad had a lot of hits. We started by using the set list that our Father was doing with his last band up until the day he died. We are doing the show in the order of and utilizing the songs that he played. So we started with that. Then had a conversation as brothers. Matt started off by saying hey these particular songs on the list are important to me I want to sing them. It worked out pretty well because the ones he didn’t choose were the ones I really wanted to sing. So it wasn’t like we were fighting or anything like that. RSC: Is there one song of his that you enjoy playing the most? GN: For me personally yeah. I love playing “Lonesome Town” because its a really vulnerable song its basically one guitar and a vocal. The musicianship has to be spot on and its one I really enjoy playing. If you were to ask Matthew the same question he’d probably say “Garden Party” for the fact our Dad wrote that song and it has a personal connection with the audience and they sing along. So you got two different answers from two different twins but again for two different reasons. RSC: Who is in the band for RN Remembered? GN: We got Jeff Vee on drums and Tommy Vee on standup bass. Their dad of course is the legendary Bobby Vee. So these guys really grew up with that rockabilly thing and they really know how to approach it right. RSC: You mentioned the television show earlier on. Is it true, are they working on restoring the episodes for a DVD release or something? GN: Well there have been all kinds of rumors. I’ll tell you one thing the show will be back on the air in the United States at least starting in January. At least the first 100 episodes and then we will see where it goes from there. I personally was not aware of them restoring all the stuff and putting on a dvd release. My little brother Sam was toying with some of that stuff but he doesn’t really stay in touch with the rest of the family so we don’t really know what he is up to. He might be doing something, I’m just not aware of it. RSC: Didn’t you play with Enuff Z’nuff on your first tour? GN: Yeah we had Enuff Z’nuff for part of it, we had Tyketto and House of Lords for part of it. They were fun back in the day they really were. RSC: Is there anything you still hope to accomplish in the music business? GN: Yeah we got a brand new project that we’re working on. It’s hard to describe its like a modern Everly Brothers Band. We have yet another team of the highest of levels that we’ve caught the attention of. We’re actually gonna make another contemporary push. Combine that with some television presence that we’ve got coming up at the beginning of this year (2014). It’s gonna be an interesting year for the two of us. We’re not just going out there and beating the bushes with the nostalgia thing. We really do honestly feel that the best is in front of us. So we are looking forward to getting our shot. RSC: So will there be a new album released out of this new project? GN: There will be an album whatever that means now days. With downloads and stuff how would you put it? Don’t you think its more like a singles thing again? You would do a single and do a video and release them one at a time, the plan to do that once a month then at the end of the year you have a whole album worth of singles. I really think that’s what our plan’s gonna be. RSC: That seems to be the way a lot of people are starting to do it now. You’re right. GN: The bummer for us is we put so much work into every song and the way they used to release albums is you would be lucky if two, maybe three singles out of twelve that the record company would ultimately focus on. The other nine songs that you worked so hard on wound up becoming orphans that no one heard about. That was always kind of a drag. But then it seems cool because it kind of reverted back to the way it was when my Dad started out. This is really a singles market where they pull out all the stops on every single, single and it focused on one song at a time then later on one video at a time. It allows us to make sure that each song that we’re proud of gets adequate amount of time and attention. I’m enjoying this particular time and I’m enjoying what we are going to have to do, releasing it is concerned. If Matthew and I are on television which it looks like we are gonna be starting in January or February of this year on a station in America called Family Net. At 75 million households, five days a week in prime time people will be seeing the two of us and we’re gonna be able to end our show playing a new song and that new song will be the new single we’ll be concentrating on that particular night. I’m looking forward to that because we can be in front of more eyeballs, more people than we can touring an entire year playing for 20,000 people a show. Just one television appearance, so I think more of the focus is going to be put on that.